We are thrilled to launch our brand new Pinterest profile with an exciting addition to our KAMERS & The Pretty Blog Photo Competition 2012. 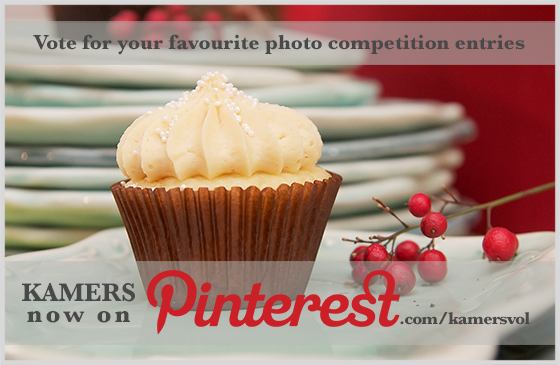 You can now vote for your favourite entries by repinning them at pinterest.com/kamersvol! The photos with the most repins will be featured alongside the winning photos as Audience Favourites on The Pretty Blog. Follow our boards and start repinning now here. Tags: photo competition, Pinterest, The Pretty Blog. Bookmark the permalink.